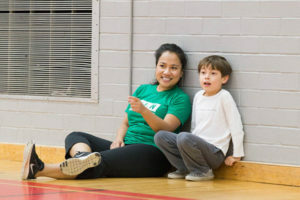 Home » Blog » We Heard You: What is each staff and volunteer’s role in programs? There are so many dedicated and passionate individuals that go into the success of each of our programs. Each year, we employ over 250 program staff and benefit from over 600 volunteers. Support Team (Black shirt): CAN Support Team are paid staff who oversee the behaviour support provided to each participant. They work closely with participants, caregivers, staff and volunteers to ensure that each participant grows towards achieve their own definition of success. Support Team are responsible for writing behaviour support plans in collaboration with participants and caregivers, and training Support Workers to implement these plans. In addition, the Support Team is the primary communication liaison with both the CAN office and any non-CAN facility staff. Coach (Blue shirt): CAN Coaches are paid staff who are responsible for implementing the CAN curriculum for each program and creating lesson plans that are customized for each group. 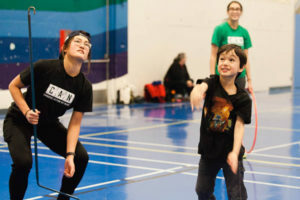 CAN Coaches are skilled in the activity they lead and provide guidance to Support Workers about appropriate skill progressions to help each participant reach their full potential and gain new skills. Support Worker (Blue shirt): CAN Support Workers are paid staff whose primary responsibility is to make sure each participant achieves their own definition of success. Support Workers support participants under the direction of Coaches and Support Team alongside volunteers. Support Workers may be assigned to support multiple participants. Volunteer (Green shirt): CAN Volunteers are community members who donate their time to support CAN programs. 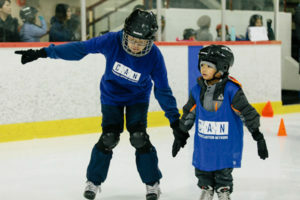 Volunteers are often looking for additional experience in supporting individuals with autism and provide crucial help by assisting staff members to support participants, setting up and cleaning up equipment, and contributing positive energy to ensure that each CAN program feels fun, safe and supported.